This morning, one of the Green Growth Fund’s portfolio companies, UpWind Solutions, was acquired by wind giant Vestas (CPH: VWS), the world’s largest manufacturer of wind turbines. The move is yet another illustration of the digital disruption that continues to shape new energy markets. Over the past 8 years, UpWind has built a world-class business in the fastest growing segment of the global power industry. Since our 2010 investment, the capacity of the US wind industry has nearly doubled to 69 gigawatts (GW) currently. An additional 13 GW is in development. Wind represents 28% of all of the new electrical generation capacity installed in the US since 2010. These large turbines can now power an equivalent of 18 million homes in the US. Global capacity is now roughly 400 GW, growing at 23% annually over the last 10 years. A test bed for a wide variety of data collection projects, distributed sensing and analytics investigations and even early adoption of drone technology to automate blade repair work, UpWind has grown to become the largest independent North American Services Provider to the industry with more than 3GW under management. Their technology-led efforts have helped UpWind differentiate itself in its market, and equip its team of skilled and dedicated technicians with the appropriate tools to do their work safely, effectively and efficiently. Our work with UpWind has also helped inform our understanding and appreciation of a broad range of opportunities occurring related to the Industrial Awakening. 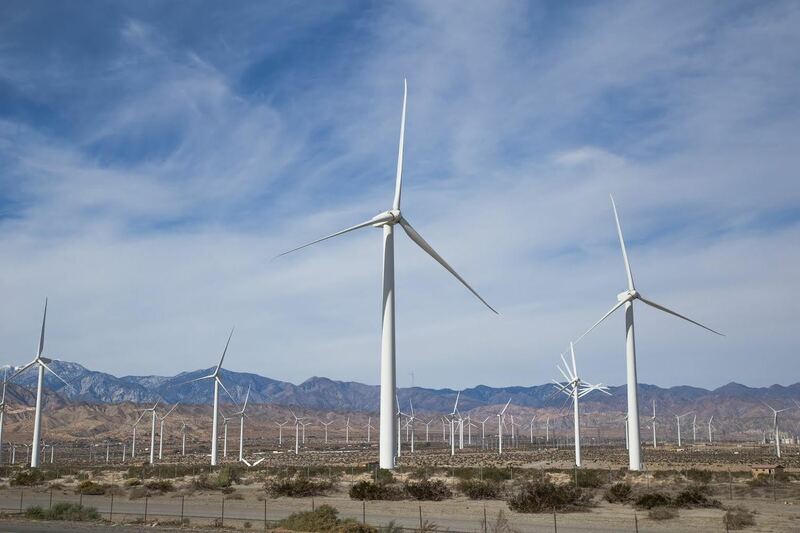 These wind turbines are the perfect example of smart, connected devices that generate enormous volumes of data and provide significant opportunities for analysis and optimization. Our relationship with UpWind and insights from Peter Wells and the entire leadership team have informed subsequent Green Growth Fund investments in OSIsoft, ServiceMax and Cenergistic. We remain very excited about this theme, and believe that we are still in the early stages of the digital revolution of industry. At the Green Growth Fund, we are committed to investing in companies that are leading new markets in sustainable ways. Companies with this mission orientation not only build sound fundamental businesses, but also develop cultures and environments that provide meaningful work, attract and retain extraordinary talent and drive towards a more sustainable future. UpWind’s team is the most recent example of how this all fits together. We have had a fantastic time working with the UpWind team over the last five years, and wish them the best as they expand their work to a new global platform.